There are only 238 days left until the opening of the life-size Ark attraction! 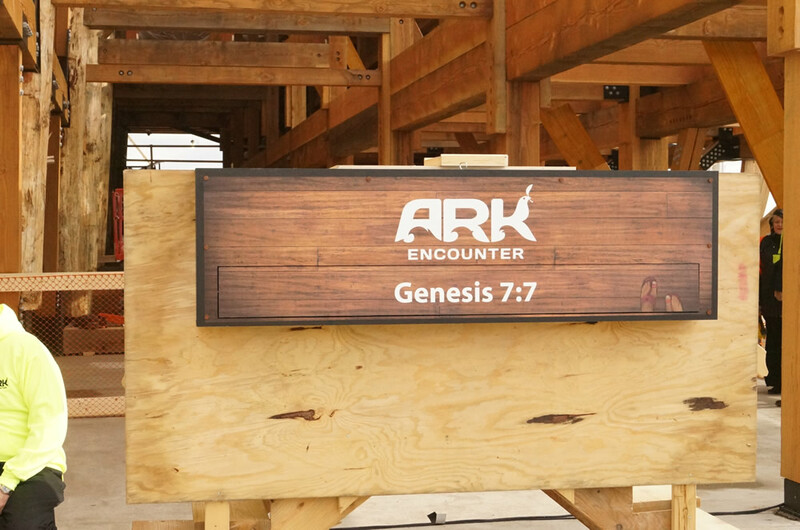 That’s right—Ark Encounter will be opening on July 7, 2016. That’s 7/7/16. We wanted to choose an opening day that had significance, and so like we do in every aspect of the Answers in Genesis ministry, we started with God’s Word. Genesis 7:7 says, “So Noah, with his sons, his wife, and his sons’ wives, went into the ark because of the waters of the flood.” Using the verse reference (7:7) as a date (July 7) gives us the most appropriate time to allow the public to enter the Ark as well. 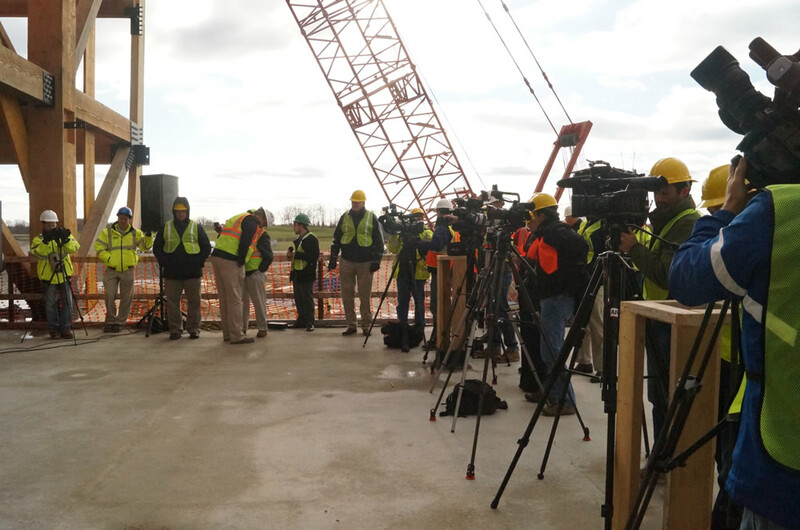 Ken Ham, CEO and president of Answers in Genesis, made the opening date announcement to more than 30 media representatives at the Ark construction site this morning. 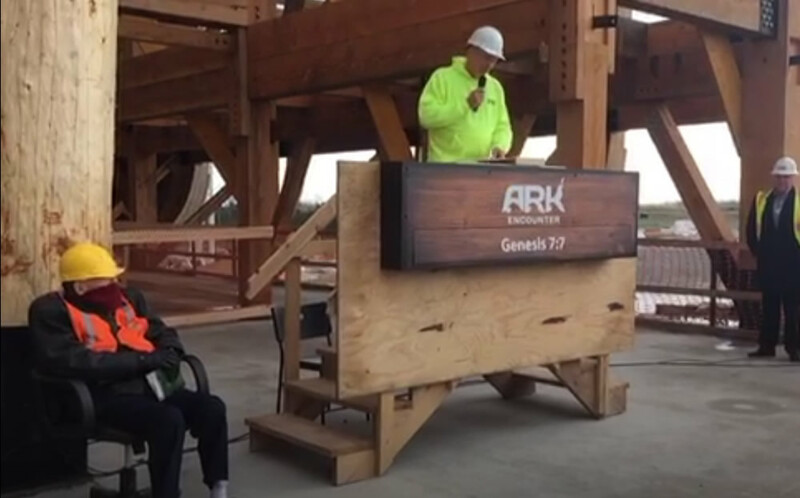 Ken gave a brief introduction to explain to those watching why the ministry is building a life-size Noah’s Ark, how we’re building it, and what people can expect to experience at the attraction when they visit. We were also blessed and thankful to have Dr. John Whitcomb, a coauthor of the book The Genesis Flood, attending the conference as one of the theologians at the forefront of the modern creationist movement. He was able to read passages of Scripture during the press conference and even did a special interview with Ken beforehand that we hope many of the media outlets will use in their broadcasts later today. 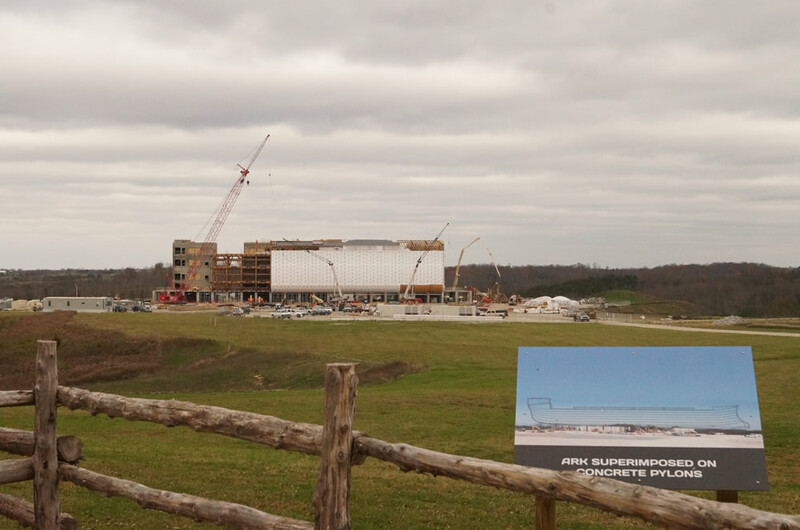 Also during his presentation, Ken explained just how many people we expect to visit the Ark Encounter in the first year (possibly as many as 2 million), and we think many of them will want to come visit immediately after its opening. So we decided to have two sessions per day for people to come visit—one in the day and one at night—for the first 40 days and 40 nights, to play off of the 40 days and nights of rain in Genesis 7:12 . Tickets to reserve your date and time will be going on sale online on January 19 at ArkEncounter.com. You can find out more about today’s press conference, and please be in prayer for the building construction to progress, for strength for the exhibit designers, and that many people would be impacted by the gospel of Jesus Christ through this incredible outreach.